Amsterdam has reclaimed its position as the world’s biggest petrol exporter following the opening of a new terminal. The city is heavily dependent on the United States for its trade, supplying half the fuel on American roads. Last year 37.5 million tonnes of petrol and diesel oil were exported from Amsterdam’s docks. 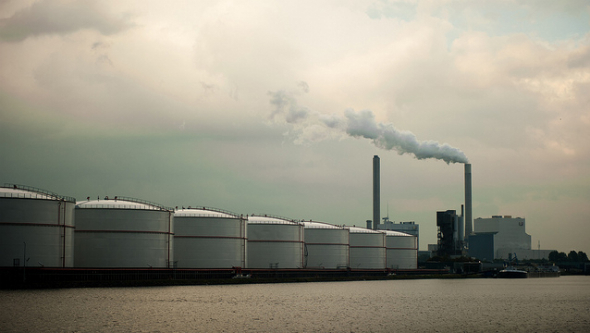 “Europe has a surplus of petroleum and a shortage of diesel oil,” said Ruud van Straalen, who is responsible for the oil sector at Amsterdam harbour. “In the US, where fewer vehicles are diesel powered, the situation is the exact opposite. Demand from the US has risen by more than 10 per cent in recent years and continued to increase in the first half of 2011, Van Straalen said.